Rapper Pusha T began his career alongside his brother, No Malice, as the group Clipse. The duo released three albums between 2002 and 2009 before ultimately disbanding but not before developing a cult-like following of fans who couldn’t get enough of their detailed travails of street life in their native Virginia and beyond. Pusha pushed forward as a solo artist — working the mistake circuit and eventually landing with Kanye West’s G.O.O.D. Music imprint. He now serves as the label’s president. Pusha’s breakout performance came on West’s “Runaway” from 2010’s My Beautiful Dark Fantasy and in 2013, Pusha’s debut album, My Name is My Name, was released to critical acclaim. Two years later, King Push – Darkest Before Dawn arrived and earlier this year, Pusha’s Daytona arrived and gave him his highest charting album of his career so far. Last night, nearly exactly three months to the day of the original postponed August show date, the Daytona tour made its way to House of Blues. You can see a slideshow of photos from the concert here. Critics of Pusha T often point to the majority of his subject matter as an Achilles heel of sorts, but it’s where he’s most comfortable as an artist. When he does veer into other territories, his fans appreciate him all the same. Last night’s show was filled with energy and was worth the wait (or perhaps weight). 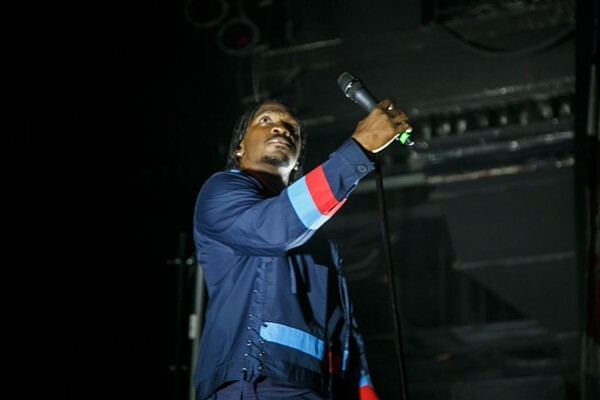 With the house lights down and following a quick set by DJ RickGeez to hype up the crowd, Pusha T emerged onto stage with Giorgio Moroder’s eerie theme from the 1983 film Scarface playing. 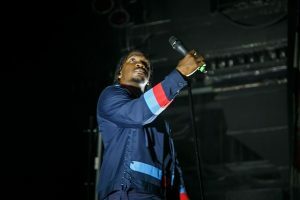 The music stopped as Pusha T reached the center of the stage and he began to rap the opening lines of Daytona opener, “If You Know You Know,” a cappella with the eager crowd joining and rapping along.